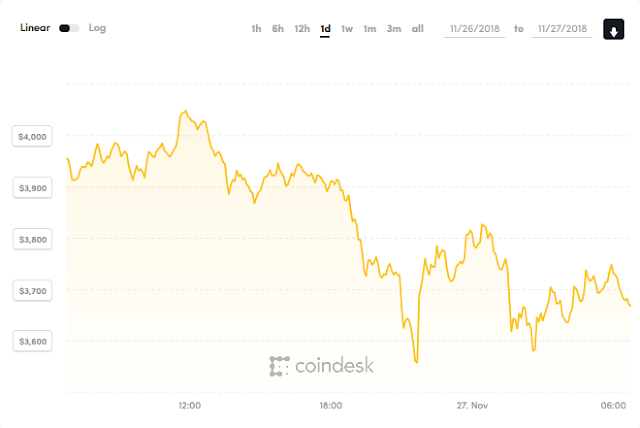 Bitcoin terrible downslide continuous in 2018 and it seems that there is more twist to the tale as 2019 is just around the corner. Salaam Beautiful Peoples! Recently I wrote an article on Games of The PlayStation 4 Were Available on PC. And Now I'm going to post regarding Bitcoin. Visit this link & Get the latest updates in your mailbox. You can also connect with us on Facebook & Twitter. 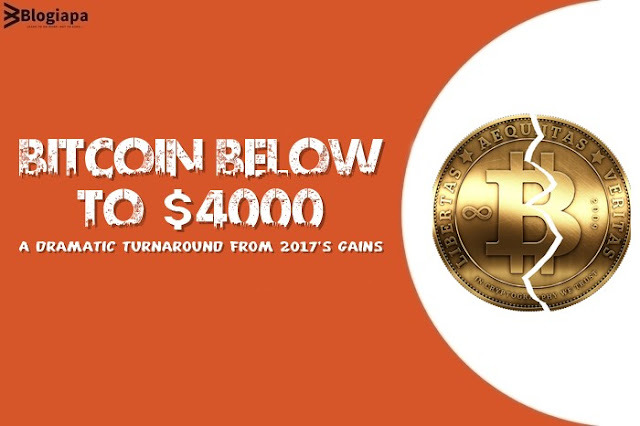 The biggest and most famous cryptocurrency, Bitcoin fell below the $4,000 mark this Saturday. This accounts for a massive 40% drop within two weeks. With just a little recovery on Monday, the currency fell to as low as $3,520 last week according to The Verge, meaning that any gains from this year have gone down the drain. Sam Ouimet from Coindesk notes that at 09:20 PM on Saturday (Converted to Pakistan time zone) Bitcoin’s average price fell to $3,691.89 across different coin exchanges. At the start of the day, the price was $4,298.83 or 7.5% higher. He notes that the price was at $3,745.89 at the time of writing of the report, which is $1,700 or 30 percent, in the past week’s prices and down 81% from its all-time high value of roughly $20,000 in December 2017. It was at the start of this year when Warren Buffett told Cryptocurrency will come to a bad ending. The world’s most prolific investor also described Bitcoin as a real bubble. "People get excited from big price movements, and Wall Street accommodates,"
Share this post on Social Networks. It will help me get more readers and make me more motivated!